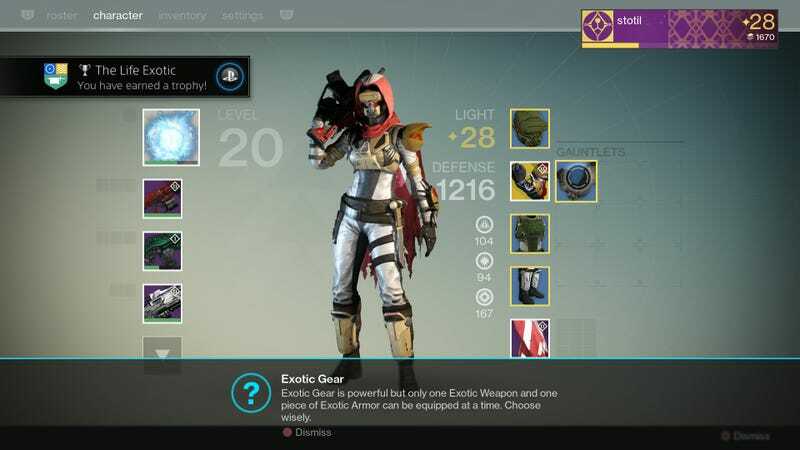 Just over a month ago, I wrote about my level 8 newbie adventures in Destiny. In the weeks that followed, I played chunks of the game but resisted grinding, got stuck at level 26 for two weeks and just today finally got enough strange coins to get my first exotic gear. So now, finally, I’m level 28. Huzzah! And now our resident Destiny champs, Jason and Kirk, want to take me on my first Raid!